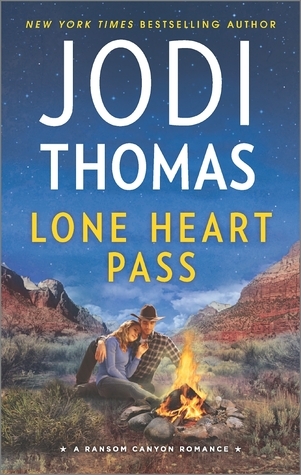 Lone Heart Pass - #3 in the Ransom Canyon series and it just gets better with each one. The characters are fun, they have depth and it was easy to just fall in love with them. There is a bit of crime and mystery, along with a ranch that needs taking care of and some romance. We meet some new characters and catch up with a couple of the earlier ones. Walk in Charley Collins, a man who has his own family problems and has been cast out by his father. He has a delightful daughter - aged five, and he will do anything for her. When he is offered a job at the ranch he accepts and so the journey begins to bring the ranch back to life. We also catch up with Tim O'Grady, Lauren and the Sheriff. Tim is bent on being an author, and is keen to experience life so as he can write about it. Lauren is finishing college and wondering what is next for her. And the Sheriff is caught up in sorting out shootings and murder. I think this series gets better with each book. I loved it! I hope they do because it is so worth it. I usually avoid books with western covers but this series sounds really good! I usually don't go for books with that kind of cover either but I like your review. This series is on my TBR. I'm just now coming across Jodi Thomas so I'm surprised to hear this is her 43rd book. I need to get reading!